Whether you’re a fan of music, podcasts, or you simply like talking to Google Assistant, a great pair of headphones can transform anyone’s listening experience. The only problem is, there are a ton of different headphones out there, and they all have something slightly different to offer. So what should you consider when buying a new pair of headphones? Well, for starters, you’ll want to think about the overall form-factor. The main form-factors are in-ear, on-ear, and over-ear headphones — and they all offer different levels of portability. Next, you’ll want to consider the design of the headphones. We’re not talking about looks here — though that may be important to you, too. Instead, the design of a pair of headphones refers to whether they’re open-back or closed back, and the difference in listening experience can be pretty huge. You’ll also want to consider whether they’re wired or wireless, and if they have other features — like digital assistant support. Brand name can also be important. While the likes of Sennheiser, Shure, Bose, and Audio Technica are often considered some of the household names in the audio industry, lesser-known brands such as Jaybird, Libratone, and Soul, can have a lot to offer. Still, while they offer a cheaper price you’ll want to be extra careful when buying headphones from a company with no real track record in the space. After all, there’s often a reason why big-name brands are more trusted. With so many variables to consider, it can be hard to figure out which headphones are right for you. That, however, is why we’ve put together this guide. Form Factor: What's Your Style? The first thing to think about when buying a new pair of headphones is the form factor. In general, there are three major form factors to consider — in-ear, on-ear, and over-ear. In-ear headphones can get a bad rep, but the truth is that they’re the most portable headphones on the market, so if you’re looking for something to take on the go (you can easily bunch them up and store them in your pocket), these might be your best bet. As the name suggests, in-ear headphones rest in your ear. Some rest on your outer ear, specifically on a section of the outer ear called the “Antitragus.” Others are pushed slightly deeper into the ear canal, which helps them stay in place (ideal for use during sports or other rigorous activity). Portability is one thing, but comfort is another. While over-ear headphones are undeniably the most comfortable out there, in-ear headphones are considered the least. Some pairs can even do damage to your ear cartilage — though those instances are very rare and usually only happy if you’re wearing your in-ear headphones far too much. Generally speaking, most people get used to the feel of in-ear headphones, but if you buy a new pair of earbuds it may take a few days of use for that to happen. Interested in buying on-ear headphones? On-ear headphones offer a happy medium between in-ear and over-ear headphones. While they keep the same general shape as over-ear headphones, they’re normally a little smaller and often can fold up — making them a great choice for those that don’t like in-ear headphones but still want something they can fit in a bag without adding too much weight. The trade-off is that most people find on-ear headphones to be a little more comfortable than in-ear, and they often offer a better sound-quality too — thanks to the fact that they have more room to incorporate larger drivers. We’ll get more into drivers and sound quality a little later on. When it comes to comfort, on-ear headphones offer a compromise between comfortable over-ear headphones and less comfortable in-ear headphones. On-ear headphones, as the name suggests, have padding that rests on the outer ear. Comfort here is more defined by how hard the clamp is. Too hard, and the headphones can’t be worn for long without getting uncomfortable. Too soft, and the headphones will fall off. On-ear headphones are a great choice for those who want a pair of great-sounding headphones to take on the go, and who don’t mind the larger size and the fact that they won’t fit in the pocket. Some on-ear headphones can be good for working out, but you’ll want to make sure that they offer a relatively hard clamp to ensure that they stay on your head. Over-ear headphones are the ultimate in comfort and sound quality — but by far the least portable of the three form factors. That may not be a big deal for those looking for a great pair of headphones to use at home, but if you’re looking for a pair of headphones to take on the go, you’re probably better served with a pair of on-ear or in-ear headphones. As the name suggests, over-ear headphones often don’t touch your ears at all. Instead, they have padding that clamps around your ears. That’s how they’re able to stay comfortable for so long — after all, your ears are much more fragile to discomfort than your skull. Part of the reason over-ear headphones are able to sound so much better is that they have more room for larger drivers — or different types of drivers that require a little more room to work properly. We’ll get into driver types a little later. Design: Closed or Open Back? While the look of the headphones may be important to you, the design of a pair of headphones often refers to whether they’re closed back or open back. The vast majority of consumer headphones are closed back, but some audiophile-focused headphones are open back — and the difference in sound quality can be enormous. As mentioned, most headphones you see in a store will be closed back. What that basically means is that the outside of the headphones is designed to keep your music inside the headphones, and outside noise outside the headphones. There are some advantages and some disadvantages to this. Closed back headphones, for example, are better for those that intend to take their headphones on the go, or for those that will likely listen to music with others in the room. The main drawback is sound quality — most audiophiles simply looking for the best sound out there argue that open back headphones sound more natural. We’ll get into why in the next section. Of course, that doesn’t mean that closed back headphones don’t sound good. In fact, some of the best headphones in the world are closed back headphones. All it means is that they sound slightly less natural — and many won’t even be able to tell the difference. 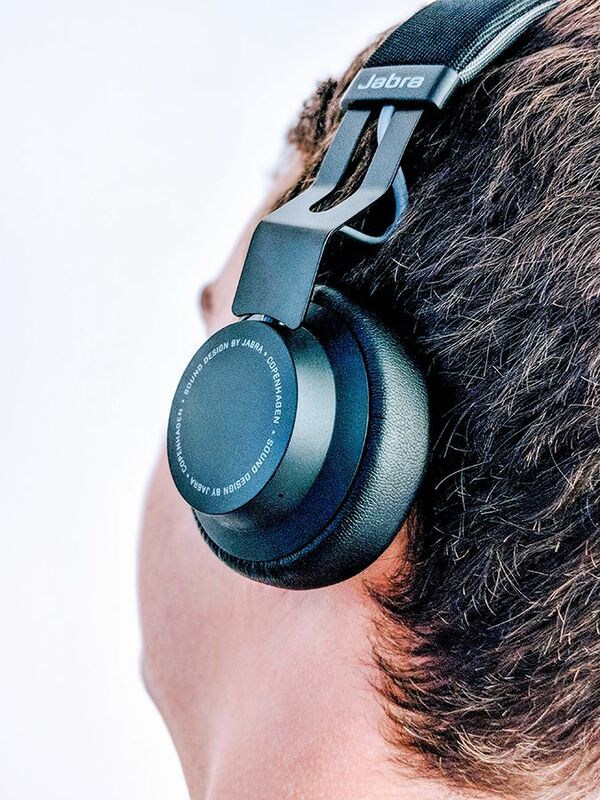 While closed-back headphones are designed to keep your music at least somewhat isolated, open back headphones are specifically aimed at doing the opposite. Why? Well, it creates a much more natural sound. With the ability for sound to escape your headphones, there aren’t the tiny echoes that resonate inside closed back headphones. While largely imperceivable, those echoes do create a tighter soundstage — and as such open back headphones sound a little wider and more open. There are some major disadvantages to open back headphones, making them really only suitable for home listening. For starters, just as sound inside the headphones can get out, outside sound can also very easily get in — so if you plan on listening in even a moderately noisy environment, you’ll be able to hear everything going on around you. Another disadvantage is that the lack of a physical barrier between the outside world and the electronics inside your headphones means that things like moisture could damage them more easily. If you plan on listening at home in a quiet environment and simply want the best listening experience, then open back headphones could well be the way to go. Semi-Open Back Headphones: Should You Consider A Pair? There is a third design type, and that’s the semi-open back design — though most people will probably want to steer clear of these. Semi-open back headphones cover most of the outside of the headphones, but keep a little space for some air to get in and out. The trade-off is that the headphones have some of the advantages of open back headphones, like a slightly (but not totally) more natural sound. The flipside, however, is that the headphones have all of the disadvantages of open back headphones, including that outside noise can easily get in and that it’s much easier for moisture to damage the electronics inside the headphones. We really only recommend semi-open back headphones to users who plan on listening at home and are willing to compromise on some of that openness found in open-back headphones for a slightly more isolated listening experience. Do You Prefer Wired or Wireless? Wireless headphones may be obviously more convenient than wired ones — but did you know that wired headphones almost always offer a better sound quality? On top of that, when it comes to wireless headphones, you’ll also have to consider battery life. Of course, for many -- and even most — the convenience of wireless headphones is still worth it. Wired headphones aren’t totally dead just yet — though their dominance has shrunken to a small percentage of uses, and it’s likely they’ll completely fade in coming years barring a few high-fidelity listening situations. While wireless headphones are often more convenient than wired ones, wired headphones still have a few major advantages. For starters, at least for now, they’re still a little cheaper than their wireless counterparts, though there are plenty of low-cost wireless headphones. Perhaps more importantly, however, is the fact that wired headphones usually sound a lot better. That’s because they often make use of the headphone amplifier on your phone or computer, rather than the lower-quality amplifier built into modern wireless headphones. Not only that, but wired headphones also allow for an external headphone amplifier to be used — which usually creates an even better listening experience. Sound quality is obviously important to consider, but sometimes convenience is more important. For example, if you’re going to be using your headphones for going to the gym, then the convenience of a wireless design is probably worth the trade-off of a slightly lower audio quality. We’d even take that a step further — if you’re not an audiophile with a love of high-fidelity music and a keen ear for differences in audio, then wireless headphones will be perfectly fine for you, and we don’t think it’s worth suffering through the inconvenience of wired headphones if you don’t specifically need those advantages. Wireless headphones generally have a listening distance of around 10 meters, or 33 feet, but that’s likely to change as Bluetooth 5.0, which supports a distance of up to 800 feet, continues to roll out. Within the category of wireless headphones, there are a few different types to consider. Most wireless headphones are either over or on-ear, or they have a small wire that wraps around the back of your head. Recently, however, “true wireless” headphones, like Apple’s AirPods, have become more popular. These are earbuds that connect wirelessly to your listening device, and to each other, meaning that you’re left with two independent earbuds, often carried in a charging case when not in use. These headphones are still in their infancy, but they’ve become a whole lot better over the past few years, and you can bank on that continuing. There’s one more thing to keep in mind when it comes to buying wireless headphones, and that’s battery life. Battery life varies widely depending on the type of headphones you have. A good battery life for true wireless headphones is anything more than four hours of continuous playback — though the charging case will extend that if you don’t listen for four hours straight. Non-true wireless earbuds should have at least 8-10 hours of playback on a charge. On-ear headphones should be able to offer 15 hours or more, and over-ear headphones should offer at least 16 or 17 hours — though it can range up to 25 hours or more. Audio Quality: What Should Be Your Biggest Considerations? While we’ve touched on a few things that will affect the audio quality of a pair of headphones — like whether they’re open back or closed back, there are a number of other audio-related things to look out for. Many of these things (frequency range, impedance, driver type, etc.) are only worth considering if you’re an audiophile looking for the best possible sound quality — but even if you’re not it can be helpful to know a little more about how your headphones work. Frequency Range: Low or High Frequency? Frequency response refers to the different frequencies that headphones are able to reproduce, ultimately resulting in a full sound. Instruments like bass guitars, bass synths and kick drums, largely live in the lower frequencies, while the sizzle of cymbals and sibilance on a vocal lives in the higher frequencies. Guitars, other drums, the body of a vocal, and so on, all live in between. The frequency range of human hearing is 20Hz to 20kHz, though most adults can’t hear much past 17kHz. Most headphones have an advertised frequency range of 20Hz - 20kHz too, which, of course, doesn’t really tell you much about how they sound considering that’s what humans can hear anyway. In other words, while you shouldn’t consider headphones that have a frequency response of less than 20Hz - 20kHz, don’t simply take that to mean that they’ll sound good. Headphones are basically just miniaturized speakers, and like speakers, they have drivers — at least one on each side. The driver is basically what vibrates the air, creating sound, and there are a few main kinds of drivers. First up is the dynamic driver, which is what’s found on the vast majority of consumer-level headphones. Dynamic drivers are the cheapest to produce, but that doesn’t necessarily mean they sound bad. In fact, they’re generally great at creating a solid bass response without much power. The trade-off is that they can distort more easily at higher volumes. Balanced armature drivers are only used in in-ear headphones, and work slightly different than dynamic drivers. They can be tuned to specific frequencies, and as such many in-ear headphones feature two sets of balanced armature drivers, tuned to different frequencies, or are also coupled with dynamic drivers for an evener frequency response. Planar magnetic headphones are usually only found on higher end over-ear headphones because of their larger size, but they’re able to produce what’s often considered to be a much better sound. They don’t distort as easily as dynamic drivers, and produce an excellent bass response — but they require a headphone amp to run properly, as they need a little more power than dynamic headphones. Last but not least is the electrostatic driver, which works very differently to the other drivers on this list, and is able to produce a largely undistorted sound and a wide, natural soundstage. They also have a very natural frequency response. There are downsides, including that they’re much more expensive to make, they require a headphone amplifier, and they’re normally only really found in over-ear headphones thanks to their large size. Impedance: How Many ohms Should Your Headphones Have? Impedance refers to the opposition your headphones give to the flow of current from your headphone amplifier, and depending on your listening setup, you’ll want to keep impedance in mind. Impedance generally varies from 8Ω (ohms) to the hundreds of ohms on high-end models. Most consumer headphones are low impedance, and as such can easily be powered by a smartphone or computer. High impedance headphones, on the other hand, require a dedicated headphone amplifier to output enough sound. If you plan on using your headphones with a phone or computer, any headphones with an impedance of under 25Ω should be fine. If you have a headphone amplifier, however, you could get higher-impedance headphones — though just how high depends on the amplifier. Sensitivity: What Kind of Volume Do You Want? Sensitivity refers to how loud headphones can get with the power that they’re given. It’s measured in decibels, which, in basic terms, is the measurement of volume. Generally, sensitivity is measured per 1mW (milliwatt). So, if a pair of headphones has a sensitivity of 115dB / mW, that means they can produce 115dB of volume using 1 milliwatt of power. Of course, 115dB is pretty loud — and we never recommend listening to music at that level. 115dB is around the level of a rock concert, and that level starts doing permanent damage to your ears after around 15 minutes of listening. Usually, a sensitivity of between 90dB and 120dB / 1mW will be perfectly fine for use. In recent years, noise-cancellation has gotten a lot better. Active noise-cancellation is pretty complicated technology, but it basically uses a microphone to detect what noise is happening around you, then plays back an opposite version of that sound, effectively canceling it out to your ears. Unfortunately, there’s no standard measurement for noise-cancellation, and as such it’s hard to say what’s a “good” noise-cancellation. Generally, Bose and Audio Technica offer excellent noise-cancellation, while other companies are slowly getting better. There is a downside to noise cancellation, and it's that it usually affects the audio quality in small ways. For example, noise-canceling headphones can sometimes produce a faint hiss, and they can slightly change the frequency response depending on the frequencies being filtered out. There is another way to cut outside sound, and that’s with “noise isolating” headphones, also known as passive noise-canceling headphones. These headphones physically cut out any outside noise by creating a good seal around your ears and using sound-proof materials. It’s a little lower-tech, and it usually won’t cut out as much noise as noise-canceling headphones, but noise isolating headphones can still help prevent unwanted sound from distracting you while you listen. Headphones are getting increasingly high-tech, and as such, they’ve begun offering more and more cool features. Some of these features might be important to you — while others might not be. For starters, headphones these days often have controls built right on to the ear cup or into a remote on the cable. This allows you to control your music and volume without having to take your phone out of your pocket — which can be a very handy feature. Many headphones these days also offer support for a digital assistant like Google Assistant and Amazon’s Alexa. Some, like the Bose QuietComfort 35 II, have the digital assistants built right into them, while others simply offer a button that can be used to interact with your assistant through your phone. You’ll find other features on your headphones too. Some headphones have sensors that can track your heart rate, and with an accompanying app can show you that heart rate through a workout. Others have features to limit the volume, preventing you from doing too much damage to your ears (which are great headphones for kids). Last but not least, headphones are something you wear, and as such you’ll want to find a pair that you like the look of. Everyone obviously has different taste when it comes to design — but with so many pairs out there it’s unlikely you won’t find a pair that you like. Clearly, there are hundreds of variations of headphones. No two pairs of headphones are the same — but many are similar. For the average consumer, the most important things to consider are the headphones’ form factor, whether they’re wired or wireless, and their general sound quality. Audiophiles or those looking into the magical (and expensive) world of hi-fidelity listening, however, will want to consider everything else. If that’s you, you’ll probably want over-ear wired headphones, and you may even want to consider buying a headphone amplifier. There’s one last thing to consider when you’re buying a pair of headphones — price. These days, you can get a great pair of headphones for under $100, though as is the case with pretty much everything else, you get what you pay for — so if you’re willing to spend more, you’re likely to find an even better pair. Ultimately, the perfect pair of headphones doesn’t exist — it’s different for everyone. Armed with this new information, however, you hopefully have a better idea of what to look for.